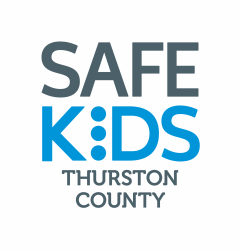 Welcome to Safe Kids Thurston County! To learn all about us, visit our ABOUT US PAGE. February is Baby Safety Month! 1. A firm mattress and fitted sheet are all you need for your baby’s crib. Remove blankets and toys. 2. Learn to use your child’s car seat the right way. Use this checklist to help. 3. Make sure you have both a working smoke alarm and a carbon monoxide alarm on every level of your home, and in all sleeping areas. Test the alarms to make sure they work. 4. Place your baby’s crib and other furniture away from windows and blinds. Your baby is safer without any strings or cords within reach. 5. Set your water heater to 120F to avoid scalds. Like many young parents, my wife and I are reaching a point that both excites and terrifies us at the same time - our seven-month-old daughter, Lilly, is starting to crawl. To see her beautiful face light up as she desperately tries to kick, claw and propel herself across our living room is a joy every day. It is very exciting to see her start this big stage of her own development, but at the same time, it means that we need to take our own momentous step: child proofing the house. Well, more along the lines of making our rooms, furniture, and other household items more child resistant to protect against potential hazards. We are also learning that having an inquisitive and curious little girl means some safety devices may eventually be unlocked/unhinged/figured out and that added supervision is just as important to keep Lilly safe. It’s difficult to ensure everything is perfect and short of moving into an inflatable bubble, we would prefer to continue living in our current home. At first, it seemed like an overwhelming task because there can be so much to do. But by starting with a few simple steps, we realized it was more manageable than we thought. And even fun. Use approved safety gates at the tops and bottoms of stairs and attach them to the wall, if possible. Remember to read the manufacturer’s instructions and warning labels to make sure you have the right gate for your needs. Not all gates are safe for use at the top of stairs. Learn more about preventing falls. Store poisonous items out of reach or use safety locks on cabinets within reach. These items also include liquid packets for the laundry and dishwasher. It only takes a few minutes, and it gives you one less thing to worry about. Learn more about. Learn more about poison safety. Install stops on dresser drawers to prevent them from being pulled all the way out. Multiple open drawers can cause the weight to shift, making it easier for a dresser to fall. Also, be sure to install tethers and brackets to furniture and TVs to prevent tip-overs. Learn more about tip-over prevention tips. And, my personal favorite, See the world from a child's point of view. Get on the floor on your hands and knees so that you are at your child's eye level. Look for and remove small items. Learn more about ways to prevent choking injuries. These five tips may not completely childproof our home, but they are great starts to making our house safer and us less worried. And, as the father of an adorable little girl, I am sure I will have other things to worry about in the future. The Child Care Action Council and Thurston County Medic One serve as the lead organizations, lending support to help the group accomplish their goals related to childhood injury prevention in Thurston County.